Whether our students are conducting science experiments, journaling, or building robots, each activity fosters a natural enthusiasm for learning. The lower elementary classroom is designed to encourage resourcefulness, initiative, and increased curiosity. As students expand their reading, writing, and math skills, they also nourish their imaginations through a hands-on, integrated curriculum. Our students actively participate in the educational process and work hard for the sheer joy of it. In the upper elementary classroom, students learn to challenge themselves beyond what is traditionally taught at a certain age. Students continue their journeys through the study of history, complex algebra and geometry, science, and geography. The focus is on developing the foundation for lifetime learning while emphasizing independent research. Let’s face it. We do a lot of our research online. So if you’ve toured our classrooms, but aren’t quite ready to commit to our program, or you want to learn a little more before scheduling your tour, this section is for you. 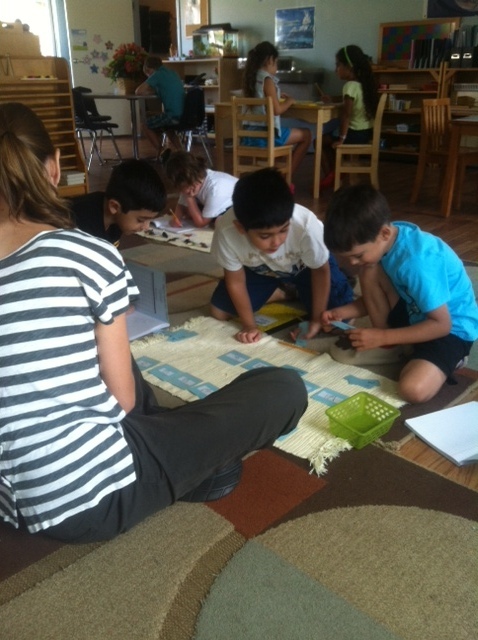 We believe a Montessori program is the best elementary program a child can have. Ultimately, you have to decide that for yourself. We’re here to answer your questions anytime, but here are a few free resources to help you evaluate whether a Montessori elementary education is right for your child. The infographic below developed by visualistan.com for Starwood Montessori in Texas provides a quick overview of why Montessori elementary is superior to traditional elementary. Still with us? That’s great! 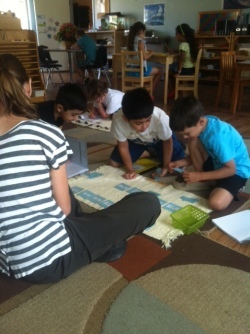 MontessoriGuide.org created a page for Montessori provides to educate them on what a great program looks like. It’s therefore is also an amazing resource for parents to see what a great elementary program should look like. Appropriate for all ages, the below graphic particularly touches on issues common to traditional elementary programs.